Why homeowner testimonials? Tierra Pacifica is gathering an eclectic, well-traveled, thoughtful group of people who have seen much of the world and have decided that Tierra Pacifica is the place they want to purchase land and build their dream home. 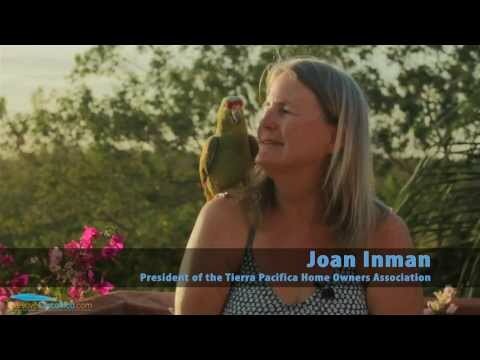 These green community residents let their reasons do the talking about why they are calling Tierra Pacifica – Guanacaste’s premier Environmental Estates – their home. “Our house in Tierra Pacifica was completed in January and we were excited to go down, furnish it and just relax. Ali (our daughter), her husband, Jacob and their daughter, Sienna (1 ½ years old) came down and joined us once the house was ready. It was great for all of us to spend time at the pool getting better acquainted with the other TP residents. Margaret (aka Gammy) even managed to find bridge partners to play cards with in the afternoons. Jacob is also a surfer, so we enjoyed showing him and surfing the great spots in the area. We also enjoyed the nature that Tierra Pacifica has to offer. Little Sienna, can now make the same sound as the howler monkeys do (or at least she thinks she can). We capped off our trip by having a gourmet dinner at Villa Deveena. We cannot wait to return to Tierra Pacifica.